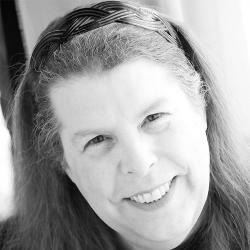 Columnist Cheryl Costa discusses the UFO/UAP statistics of the Western Finger Lakes region. When most people talk about the Western Finger Lakes of New York, you’re likely to hear verbose discussions of the beautiful scenery or perhaps the world class wine trails. What you rarely hear about are the UFO or UAP sightings. There are 11 New York counties that make up the region known as the Western Finger Lakes. UFOs and UAPs are a huge deal. Over the past 15 years, the region has reported about 10 percent of New York state’s 5,041 UFO/UAP sightings. While most of the counties reported an average of one or two sightings a year, over the course of the 15-year sample period, Monroe County took the prize for having 236 UFO/UAP sightings. That’s an average of 15.7 per year for the study period — which is huge. While the Great lakes and Monroe County seemed to grab the lion’s share of the big UFO/UAP sightings, it should be noted that the other 10 counties of the Western Finger Lakes region made up over half of all the sightings for the region. In addition, when you also examine the volume of UFO/UAP sightings against the scant population of the upstate rural regions, it adds up to a lot of sightings for very few people. See the sighting vs. population chart above. July 2, 2016: At 8:25 p.m., a resident of Monroe observed a bright object descend from high in the sky to just about tree top height, then it returned to its high altitude and disappeared. July 3, 2016: At 10:45 p.m., a resident of Liverpool reported observing a black triangle UFO in the area. July 6, 2016: At 1:30 a.m., a resident of Binghamton reported seeing a formation of small, bright-colored lights exit a much larger bright craft. July 7, 2016: At 10:32 p.m., a resident of Clarence saw a bright light jump from place to place over the entire plane of the sky. July 9, 2016: At 5:14 p.m., a resident of Utica observed a bright object streak across the sky in a controlled manner.